Wireless Access Point (WAP) is essentially hardware equipment that enables wireless devices to connect to wireless networks, via standards such as Wi-Fi, Bluetooth and so on. The WAP device typically connects to a wired network, and acts as a communication interface between the wireless devices and wired devices on the network. The WAP device enables the transmission of data between wireless and wired devices. For example, in an office setup multiple users can print documents from their workstations or laptops that are physically connected to the network, with the help of a wireless printer that is located at a central location in the office. 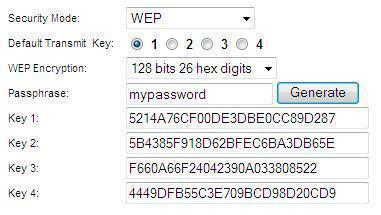 The WAP device acts as a central hub for sending and receiving data via WLAN (Wireless Local Area Networks). The usage of WLAN and WAP has become quite common in offices, homes and educational institutions. Before the advent of wireless networking, setting up a computer network for home, corporate or institutional use was quite tedious and time-consuming, as it involved the installation of numerous cables to ensure network access for all the network devices being deployed. Presently WAP devices are designed to work with standards to send and receive data via radio frequencies. This keeps the usage of cabling to a bare minimum. The standards and frequencies are prescribed by IEEE (Institute of Electric and Electronic Engineers), and nearly all WAP devices use IEEE 802.11 standards. Corporate organizations use a number of WAP devices and attach them to a traditional wired network, in order to give wireless access to the office LAN. Within the office setup, users have the advantage of network access coupled with mobility. Hot spots are used for public access to the internet. Wireless devices can access the Internet by directly connecting to the network present at these hot spots. Hot spots can be found in hotels, airports, coffee houses, malls, and so on. Home wireless networks use wireless routers in conjunction with broadband modems to provide wireless access within a home environment. The infrastructure mode is the most commonly used mode for wireless Internet access. It uses WAP devices to enable wireless devices to communicate with the wired network. A single WAP device attached to a wired network and a group of wireless devices is known as a Basic Service Set (BSS). 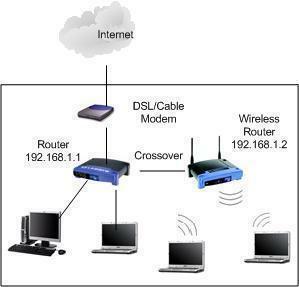 In a wireless ad-hoc network, devices communicate with each other directly, without the aid of a WAP device. It is also known as peer to peer mode or Independent Basic Service Set (IBSS). 394 queries in 0.349 seconds.